White vinegar is the darling of homemade cleaning supplies. Whether someone is committed to green cleaning, wants a hard-working multi-purpose product, or is looking for a solution that is about as cheap as you can get, vinegar is the answer. From window-washing and mopping to disinfecting the sink and removing soap scum, trusty old vinegar can be counted on again and again. Here's yet another reason to love it (and to keep it under your kitchen sink). 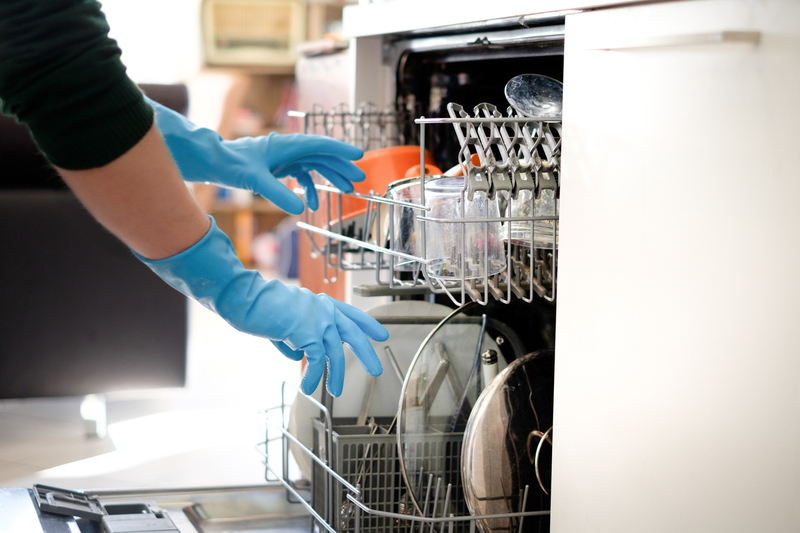 White vinegar can be used as a rinse aid in the dishwasher, especially to combat hard water staining. Speaking from personal experience, it's extremely frustrating to run the dishwasher, only to open it to dishes that are far from sparkling. Hard water stains leave spots on dishes and can make glasses cloudy. It's embarrassing to set the table with those, especially when you feel compelled to reassure any guests that "the dishes are clean; it's just the hard water."